2018 Bank of the Year for Customer Satisfaction Make t he switch today! Talk to us today. Call 13 14 22 or visit heritage.com.au Heritage Bank Limited ABN 32 087 652 024. AFSL and Australian Credit Licence 240984.
entertainment and excitement that will have our patrons parting with their hard-earned. The rides and showbags, the vast array of tempting fare, and the latest gimmicks, gadgets and must have novelty items. We have put together a great array of entertainment for the entire family to enjoy. All included in one ticket price. In fact, you will find more than 50 things to see and do for free. As you enjoy your show experience, you will notice a number of changes. More of a focus on food with presentations from Costa Georgiadis from Gardening Australia and Paul West from River Cottage Australia. More seating areas in the International Food Truck Village, Family Stage, around the Founders Pavilion and down in the Little Hands on the Farm Precinct. More educational programs with our Agtastic Trail and Ag Discovery Day, more entertainment for young families with the Trolls Stage Show and Bouncy Kids Rodeo, more extreme entertainment with the Laughing Lumberjacks, Jet Pack Adventures, James Bustar Hilarious Juggling and Antics, Hot Wheels Stunt Show, Dock Dogs and Sled Dog Racing. In conjunction with Showmens Guild, we have introduced an Entry to the Show and 10 Rides Bundle for only $50. After the popularity last year we had to bring the offer back. I invite you to attend this yearâ&#x20AC;&#x2122;s Heritage Bank Toowoomba Royal Show and enjoy the experience when the country comes to town. 2011. For your ticket price you are entitled to attend over 50 events and attractions which are included in the ticket price. Whether it be pirate jet skiers, to our Little Hands on the Farms precinct, to world champion woodchop events, to lumberjacks, to internationally acclaimed chefs and gardeners — we aim to have something to entertain you. The RASQ is proud to stage what is Toowoomba’s largest event on behalf of the community. Can I thank the Heritage Bank and all of our sponsors for the support and passion they display for this great community event. While you are enjoying yourselves at the Show, can I also ask that you keep an eye out for our hardworking staff, stewards, judges, competitors and volunteers who play such an essential part in making sure everything goes according to plan. Might I even be so bold as to suggest you stop one of them to say thanks and ask them about what they do. The passion and commitment that everyone involved with the Show displays to their chosen field of endeavor is truly inspiring. We will always have the ‘bold ambition’ of putting on the best possible Toowoomba Royal Show for our community so that we can respect the fine legacy our agricultural forefathers provided for us. Welcome and enjoy the 2019 Heritage Bank Toowoomba Royal Show! johnmcveigh.com.au Authorised by John McVeigh MP, Liberal National Party of Queensland, 216 Margaret Street, Toowoomba QLD 4350. Fun & Friendship, Forever Living Gems understands that finding lifelong friends is super important. That’s why we assist you in the process by providing you with some Queensland’s best leisure facilities - the perfect place to meet your new best friends. Living Gems Toowoomba is premium, regional retirement living at its absolute finest. Whether you spend your afternoon playing lawn bowls, taking a dip in the pool or just sitting by and watching the sun go down, your new friends are only ever a cup of tea away - that’s the beauty of life at Living Gems Toowoomba. You can own a quality home while enjoying the luxurious amenities of our award-winning Country Club. 50 free things to do at the Show Want to create some awesome family memories these holidays? 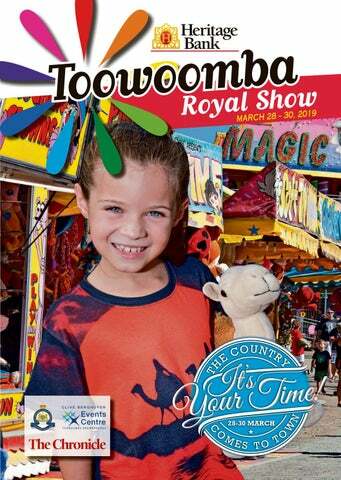 The Toowoomba Royal Show has you covered: a great day at the show can be had for nothing more than the entry fee for all ages. So, for frugal fun and a sneak peek at all of the free things on offer at this year’s Show, here are 50 free things to keep all ages entertained at show time. For more information about all the great things to do, jump onto our official Toowoomba Royal Show Facebook page or the Heritage Bank Toowoomba Royal Show website (www.rasq.com.au). You talked, we listened The Heritage Bank Toowoomba Royal Show is in hot competition with other school holiday activities and we have listened to the parents’ feedback that a day out at the show is just getting too expensive for families. So, this year’s varied range of ticket bundles are specifically designed to give you maximum ‘bang for your buck’. Make sure you don’t miss out on all the fun, by ordering your tickets online and enjoying the benefits of lower online pricing. Pre–paid prices for the 2019 show are $15 for adults, $10 for concession card holders (pensioners, seniors, veterans affairs or full–time student with identification), and $5 per child aged 5–12 years. The Family Pack (two adults and two children) is available for $35 — children under 5 years old, get in for free. But, with the $80 Super Saver Bundle, families get $60 worth of sideshow rides included in the ticket price. The Side Show Alley Super Saver package includes a single entry ticket and 10 sideshow rides for just $50, while concession card holders have access to the $30 Super Saver Bundle (which includes $30 worth of sideshow rides). The biggest deal of all, is the Show Bag deal for $99, which includes a family ticket, $30 worth of sideshow rides, four selected show bags, hotdogs and sundaes, as well as two Orchy drinks and two coffees. As an added bonus, pre–purchase tickets go into the draw to win a $500 Heritage Bank gift card (terms and conditions apply and are available from www.heritage.com.au). Pre–paid tickets (and bundles) are available both online, in Heritage branches and from the Toowoomba Show office. The Side Show Alley offer is available online only and will remain available for just a limited time. To purchase online, please go to www.toowoombashow.com.au or follow the link through the official Toowoomba Royal Show Facebook page. Fab–ewe–lous animals This year’s Toowoomba Show will feature all manner of furry friends. From small and cuddly to the giants of the show ring, there’s sure to be a plethora of animals to catch the eye. As you wander around the show grounds, you’re guaranteed to run into alpacas, show dogs, working dogs and high–jumping dogs, bees, pigs, boer goats, mohair goats, dairy goats, miniature goats, and more. There’ll also be a great variety of sheep, horses and cattle. And, don’t forget the chooks, ducks, drakes, pigeons and guinea pigs that could turn up around any corner. Beautiful fleeces from goats and alpacas will be on display as well, offering a true menagerie of livestock to 2019 visitors. Handy information for your Show visit The Heritage Bank 2019 Toowoomba Royal Show runs from Thursday, March 28, until Saturday, March 30, at the Toowoomba Showgrounds on Glenvale Road. The Show will be open from 9am to 9pm daily, with fireworks concluding each night. Adult: $20 (at gate); $15 (prepaid) Concession: $13 (at gate); $10 (prepaid) Child: $7 (at gate); $5 (prepaid) Family: $45 (at gate); $35 (prepaid) Prepaid tickets are available until 5pm Wednesday, March 27, from the Show Office, Heritage Bank branches or online. Free parking is provided in both the northern and southern carparks, with disabled parking available at both entrances. Buses will run each day of the Show, leaving from Toowoomba Bus Station, and traveling via Grand Central’s Victoria St stop and Clifford Gardens’ bus stop, on an hourly basis from 8.30am to 5.30pm with return buses running hourly from 9am to 9pm. EFTPOS facilities are available at the northern and southern turnstiles for all ticket purchases. Heritage ATMs are located at the Show Site Office at the northern end of the Glenvale Room and at the Glenvale Room entrance. Can’t find that familiar face in the crowd? Come and see the friendly office staff and they’ll do their best to help you. Police officers will be based opposite the main building to provide assistance if required. Want to see the whole Show without having to do a lot of walking? Jump on the Vanderfield People Mover that operates daily from 9am to 6pm, and sail through the grounds. The QCWA will again be servicing the cloak room at the Heritage Founders Pavilion, so you can store your items while you wander. Country Wide First Aid will have a staffed office near the Homestead Building, located at the southern end of the Main Arena. Fun with your favourite Trolls Get ready to dance and sing with the happiest creatures around! This year, the Homestyle Family Stage will feature a live stage show based on the hit movie Trolls. Join the stars of Trolls — Poppy, with a song always in her heart, knows life is all about cupcakes and rainbows, and the very careful and cautious Branch, who is always ready for anything – except Poppy’s personality. Poppy and Branch have their ups and downs but always make friends and understand each other in the end. The live shows will be on each day at 12.30pm, 3.30pm and 5.45pm. For an extra special adventure, find Poppy and Branch wandering around the showgrounds from 2pm daily and meet them in-person. Don’t Risk It.... Cab It! Daily hydro flights to thrill Jet off to the Toowoomba Showgrounds for an unmissable performance The Jetpack Entertainment & Events team will be back again for the 2019 Toowoomba Royal Show. The performance will bring back the Jetpack Superheros in a children’s themed costume performance, with loads of crowd interaction as the athletes deliver a ‘splashing’ performance. Come dressed in your superhero clothing to be part of the show! The Bond show also returns in a themed story and the freestyle stunt team will entertain the crowds three times a day. However, this year has a surprising twist in each show. “We will also bring in the jetski freestyle team, so not only will the show be 25–meters up in the air, but also down low for a complete visual experience. “Bring a towel, ‘cause you are more than likely to get wet in these performances,” owner Ritchie Gregg said. Jetpack events at the Show When: Daily, March 28 to 30. Time: Jetpack Superheroes at 11.30am, Thursday to Saturday. Jetpack James Bond at 2pm on Thursday and at 2.30pm on Friday and Saturday. Jetpack Adventures at 4.30pm, Thursday to Saturday. Where: The lake at the Toowoomba Showgrounds. Cost: Free (included in single entry ticket price). CITYGOLF.COM.AU | 07 4636 9000 *T & C apply. Executive room rate. 15% DISCOUNT on all meals during the month of April 2019* *Available for dine-in customers only. FREE Ice Cream Cake when you celebrate birthday, anniversary or any special day* *one day advance notice require for a party booking. The new International Food Village promises to be a foodie’s paradise Foodies’ palettes will be spoilt for choice with the show–stopping selection of tasty treats available this year. From German sausages to Hungarian Lángos and everything in between, you will find something to satisfy your taste buds. Think Mexican tacos and burritos, Indonesian curries and satays, street food from the Philippines and Greece, wood–fired pizza, pulled pork and beef burgers, and mouth–watering Texan ribs, to name a few. Bowls of nutritious chicken, beef, vegetables and grains will also be on offer, with churos, ice–cream, pancakes, donuts and fresh fruit salads to top it all off. The new International Food Village overlooks the family stage and has plenty of seating and shade to accommodate your whole group. Whether you get it from the Lion Craft Beer Bar, or from one of the great coffee stalls, you will have your pick of numerous drinks on offer as you venture through the stalls. For a traditional sit–down meal, you can’t go past the ever–popular Glenvale Room that easily allows you to enjoy all the action in the centre ring. But, if it’s show food you crave, you’ll soon find the staples of dagwood dogs, fairy floss, waffle cones and the delicious Shannon’s Chips readily available. Don’t miss out on the daily food and beer pairing sessions hosted by River Cottage Australia’s Paul West. Let your taste buds travel the world, sampling the tastes and smells of our mixed community. QUIET COUNTRY MOTOR INN Quiet country setting, clean and comfortable aircon motel rooms with semi-selfcontained kitchen and undercover parking — discounted weekly rates for 5 or more nights — pet friendly. Lunch & dinner Monday to Saturday from $11.95. Home-made pizza available everyday from 10am. • Gaming room & keno • Karaoke 1st & 3rd Saturdays of the month • Beer garden and outside deck • New Bottle Shop Now Open at Gowrie St, Kingsthorpe Central. New genuine and after market parts available in store. GemLife offers luxury resort-style living with world-class lifestyle facilities on your doorstep. Built with active over 50s in mind, it really is the place to live in Highfields. Ever met a Chartered Accountant with a sense of humour? With a nickname of “Hairy” Contact Jeff Hannaford who is a community minded Chartered Accountant and doubles as a Trouble Shooter. What can Jeff and his staff solve?? Anything!! Jeff Hannaford is a Community Chartered Accountant and Trouble Shooter who has been in business since 1978 when he opened up his ﬁrst ofﬁce in Inglewood. His business has now grown with another 2 ofﬁces in Texas and Millmerran. Jeff supports the AOOB Organisation because they are involved in charity and charity begins at home. Try Jeff and his staff’s experience in solving your Accountancy, Taxation and Financial worries Don’t delay, contact and enjoy the experience of good old fashioned service. clock for the ultimate win. There are even prizes available for all kids aged eight years and younger. As if that wasn’t enough, on Saturday the fun continues with unlimited Kids Bouncy Rodeo rides all day. You can even bring the fun home at the end of the day, with owner-operator Brent Cann selling the essential Big Country Toys. Yee-haw! Embrace your inner lumberjack or ‘jill with the Laughing Loggers at this year’s Toowoomba Show! Every day on the Village Green you can enjoy the full-act Laughing Logger Lumberjack Show, with international speed climbers, chainsaw racing, and log-rolling champions, at 11am and 3pm. This year, the fun will continue with an axe-throwing lane running all day, where anyone aged 10 years or older can have a go at throwing hatchets at targets inside a throwing cage. Laughing Loggers’ Ben Lefler is also excited for the evening show which will be part of the nightly entertainment at 7pm in the Main Arena. “(It’s) an opportunity to see the team with a little twist that will be sure to take the crowd by surprise and leave some gasping as we take the show to new heights... literally,” Ben says. 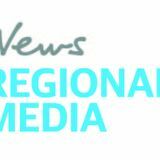 The team has been performing in Toowoomba for seven years now. “After having a rest last year, it’s an absolutel treat to return with some new lumberjack antics and action!” Ben enthuses. With Professor Wallace’s puppet theatre being handed down over a century in Australia, this traditional performance captivates people in an engaging way, with audience interaction and endless laughter. With a cast of puppets to perform for you, Professor Wallace performs from Cairns to Adelaide bringing joy and good cheer to all of his audiences. Sled dogs set to dazzle patrons Sled Dog Racing Queensland (SDRQ) is a family–friendly sport and recreation club for sled sports and dog–sledding. The Royal Toowoomba Show will play host to Sled Dog Racing’s second exhibition of the year. Watch the demonstrations, explore the various classes the club has to offer, or try out some gear and have a go yourself. Come along and see what all the fuss is about. Sled dog sports are a fantastic way to bond, train and get active with your pooch and they’re a lot of fun too. The sport is open to all breeds and mixed breeds, large and small. If your dog loves to run and pull, this is the sport for you. For more information about dog–sledding or the SDRQ Show exhibition, email info@sdrq.org.au or call 0432 930 079. Find out more: For more information about Professor Wallace’s puppet theatre, call (07) 3408 7700. Relish the adrenaline of woodchopping and chainsaw racing Experience the adrenaline of the chainsaw races and woodchops at this year’s Show. With underhand, standing or racing, you are sure to find a competition to watch that will bring you exciting, nail-biting thrills. Premiering at the Heritage Bank Toowoomba Royal Show in 2016, the event has grown each year since and continues to be a huge draw-card for competitors and viewers alike. The excitement kicks off at the Amarok Arena on Thursday with five classes of Chainsaw Racing — Post Rip at 10.30am, Speed Race at noon. Open Speed Race at 1.30pm, Disc Stacking at 2.30pm, and Open Post Rip at 3.30pm. Then on Friday and Saturday the Woodchopping Championships will make the area a hot spot, as competitors vie for the World Title Underhand Championship on Friday and the Queensland Standing Championships on Saturday. If the Championships don’t quite pique your interest, there are also many Handicap competitions on throughout both Friday and Saturday to enjoy. Amarok Arena is regarded as the premier woodchop arena in regional Australia with extra seating and stands available for those wanting to enjoy the events on show. For more information about any of the show events, jump on the official Toowoomba Royal Show Facebook page or the Heritage Bank Toowoomba Royal Show website (www.rasq.com.au). After wowing crowds last year, Paul West (SBS’s River Cottage Australia) and Costa Georgiadis (ABC’s Gardening Australia and SBS’s Costa’s Garden Odyssey) are back with more gardening and cooking fun! Each day at 2pm, the duo will join forces for their own special cook-off in the Tastes of Queensland Kitchen — which can be found in the Heritage Founders Pavilion and is not to be missed. The two will also have their own daily cooking and gardening shows and demonstrations. Paul (who also wrote The River Cottage Australia Cookbook) will share his journey from chef to self-sustainable farmer, and how the combination of farming and cooking leads in surprising directions at times. You can find Paul daily in the Tastes of Queensland Kitchen at 10.45am, 12.30pm, and 3.15pm. He will also be guiding viewers in the art of Beer and Food Pairing each evening at 5pm at the Craft Beer Bar — an experience not to be missed. You can also catch Costa daily, as he workshops his way through the garden with tons of hints, tips and trademark ‘Costa’ moments (10.15am, 11.30am, 3pm and 4pm each day at Pohlmans Vegie Patch), as a landscape architect whose all-consuming passion for plants and people led to his successful career. E: hoopercentrepharmacy@gmail.com | W: facebook.com/HooperCentrePharmacy ** Bookings are recommended to secure your spot. Have AG-tastic fun at the Show The man juggling danger and comedy Learn all things ‘AG’ with interactive displays and demonstrations, and have the chance to win a $200 savings account from Heritage Bank. Follow the New Hope Group’s ‘AGtastic Trail’ to learn about various sections throughout the Show, climb up in one of the massive John Deere machines and see what it’s like to be in the driver’s seat, or join your school on Friday for the ‘AG Discovery’ day. For your chance to win one of the daily $200 savings accounts from Heritage Bank, upload your AGtastic Trail photos with #toowoombashow. For the first time, world-record-holding Australian variety comedian James Bustar will be bringing his show to the Toowoomba Show. The frantic, manic, family-friendly yet energy-filled show will feature an explosive combination of cutting-edge juggling, variety, technology and audience involvement — all infused hilariously together. You can expect Bustar to juggle anything from bowling balls to clubs while the show goes from the thrills of danger to the hilariousness of chaos. The Times heralded “skilful juggler who manages to be funny while chucking axes over his head” will even attempt squeezing through a tennis racquet and a few contortion tricks. Experience the Hilarious Juggling Antics and Mayhem Show for yourself at 2pm and 6.20pm each day of the Show. This is a magniﬁcent product with many great uses for both rooﬁng and walls. It has many qualities including • Greater Spans • Finished Surfaces • Sound Insulation • EasyTo Fit • Most of all, Engineered Certiﬁcation for the product itself. This is where the future is taking us. The classic, traditional and family orientated Brophy Bros. Circus is once again returning to the Toowoomba Royal Show, bringing with it a mix of old and new acts. Always endeavouring to spice things up, Brophy Bros. will be showcasing the hula hoop talents of Deni Davidson this year. The crazy clowns are back again, with antics guaranteed to put a smile on every face. With the cute miniature ponies up to their old (and some new) tricks, this is a fun–filled family outing not to miss. “It’s free, fun and for the entire family,” owner Warren Brophy said. Thursday at 10am, 1pm and 4.30pm, Friday at 11am and 4.30pm, and Saturday at 10am, 1pm and 4.30pm. Thursday at 11am and 2pm, as well as Friday at 1pm, and Saturday at 11am and 2pm. Harness racing is an action-packed, fast-paced crowd favourite that entices the excited audience to cheer home their favourite horse, driver, colour or number. The sound of the thundering hooves and flying wheels, the glimmer of the drivers’ silks and the shine of the sulkies are sure to impress as these majestic horses battle it out. The first heat of the Iron Jack Trots will be hosted at the Toowoomba Royal Show each day from 4.45pm, followed by the second heat at 5.30pm daily. But the excitement doesn’t end there, with the finals being held in the Main Arena each night from 7.20pm. Get yourself a great seat and catch all the colour and spectacle of this popular racing action. Hosted by local fashionista Carolyn Taylor–Smith, this year’s ‘Creative Collective’ at the Toowoomba Royal Show will embody an eclectic mix of beautiful and wearable styles from local fashion houses and renowned Australian designers. With cutting edge looks from Belle Studio, Ivy Designer Collections, Price Attack and Florence and Marabel, contemporary styles from Wirra Designs and Sportscraft through to classic equestrian from Horseland and Peter Williams, these parades will showcase definitive styling on local models. Bloomin’ lovely floral displays Show-goers are in for a treat this year with the Toowoomba Floral Art Group Inc showing off their incredible skills. The Founders Pavilion will come alive with this large presentation from the group, as well as Green Thumbs’ The Art of Flowers at noon on the Friday and Saturday. The Floral Art Group will also have members around daily to answer any questions you may have. As the oldest club in Queensland (now in its 57th year), the group meets at the Rose Cottage in the State Rose Garden and has competitions at all levels from novice to advanced. As well as a passion for all that blooms, the group loves the opportunity to meet fellow flower enthusiasts. LIVE A WORLD CLASS COUNTRY CLUB LIFESTYLE At Palm Lake Resort Toowoomba, we bring you the best in over 50’s designer living. Our resort boasts a world class country club including a ten pin bowling alley, movie theatre, championship undercover bowls green, indoor and outdoor pools, exclusive Milon gym and more. Plus enhance your lifestyle further with $30,000* of luxury inclusions as standard with all new homes. Freecall 1800 280 129 to arrange your personal tour of our beautiful display homes and country club. SALES CENTRE OPEN 7 DAYS THE BEST IN OVER 50’s LIFESTYLE RESORTS. IT’S TIME FOR YOU. Dock dogs ready for competition What do you get when you combine dogs, catching, long jump, diving and water? The world’s premier canine aquatics competition. Performing daily at the Petstock Arena (and pool) at 10am, noon, 2pm and 4pm daily, these extremely talented dogs will hold you at the edge of your seat. Featuring a combination of events including Big Air, Extreme Vertical and Speed Retrieve, watch these competitive canines compete for the proverbial crown. Then add to the excitement each evening with Dock Dogs’ Queensland vs New South Wales Dog High Jump Shootout in the Main Area from 6.40pm. Join the special windmill dedication Join the 11th Regiment re-enactment Troop for the Comet Windmill Lighthorse Dedication at 3.30pm on the first day of the Show. The windmill is almost synonymous with the Toowoomba Showgrounds, often being the first thing people see as they crest that second-last hill on Glenvale Rd. This isn’t just any windmill, however — it’s the result of many years of collecting and transporting parts by Dudley Horn and Jan Horn (nee Aderman), and is a combination of two of the original 35ft mills produced by Sidney Williams & Co in Rockhampton, QLD and Sydney, NSW. The second most important thing The most important influence on your son’s development is you. The second most important is the school you choose. Choose St Joseph’s Nudgee College in Brisbane for an outstanding academic, cultural, and sporting education that will ensure your son develops his unique strengths and is given every opportunity to excel. And with scholarships and bursaries available, a Nudgee College education may be closer than you think. We’re interviewing this year for Year 5 in 2021 and Year 7 in 2022. Limited spaces for other year levels are also available. Celebrate 2019 Toowoomba Show at Qi’Lin Chinese Restaurant. All You Can Eat Dinner Buffet (26 dishes, plus Sushi, Dessert Bar and Lollybar) or Try our Popular Chef ’s Specialties. Authentic Middle Eastern cuisine in Toowoomba city. Get active with the Free Sports Expo located in Central Park. The expo will once again be an attraction at the 2019 Heritage Bank Toowoomba Royal Show with a huge line-up of fun free activities and entertainment. Sport is an important part of our Australian culture and the team is excited to promote the amazing sports we have on offer in our own back yard. This year’s line-up of ‘come and try’ activities includes the NRL inflatable football skills course, inflatable archery range, yoga, hula hooping as well as the AFL inflatable marking cube and Football South West Queensland’s inflatable soccer pitch. Queensland Cricket will also be on hand, so why not get the kids to challenge mum and dad to a modified game of cricket? All of the old favourites are back again this year including the Queensland Police Service driving simulator, ultimate disc, Aussie kids karate, croquet, Toowoomba table tennis and the ever popular rock climbing wall. There will also be displays from Nature Play Queensland, Special Olympics, Lone Eagle Flying School, Toowoomba BMX Club and the department’s ‘Join the Movement’ campaign. Come and see us in Central Park — mum and dad can enjoy some down-time as the kids wear themselves out, and get healthier at the same time. A bangin’ night awaits Sparky’s Fireworks will dazzle with their new pyro–musical fireworks display As the sun sets over the Toowoomba Showgrounds, the main arena will be brought to life by Sparky’s Fireworks Sparky’s is a family owned and operated business lighting up the night at functions and shows across the Darling Downs. Lead pyrotechnician, Lindsey Lack, is bringing his decades of experience to the Show again, with this being his seventh pyro–musical display for the Toowoomba Show. With Oscars fever still hot in the minds of some, get ready for a journey through time, revisiting some of your favourite films. This year, Lindsey and his team will bring you ‘A Night at the Movies — Family Favourites Fireworks Spectacular’— an amazing fireworks display set to the tune of famous children’s movie soundtracks, including the likes of Zootopia, Trolls, Coco, and a couple of Disney films too. “We love doing shows like this and celebrating what’s going on in the world,” Mr Lack said. His two creative directors, 23–year–old Kate Lack and 22–year–old Megan Wagland, again assisted him in combining the soundtrack with video and fireworks for this year’s event. ‘A Night at the Movies’ will feature songs from many of your favourite films and will kick off every night in the main arena from 8pm. Get in early to secure a seat and dress up as your favourite characters for a bit of fun. Find out more: For more information, contact Lindsey and the team on their Facebook page ‘Sparky’s Fireworks’ or call (07) 4691 0055.
with any Kids meal - only at The Downs Hotel. Open 7 DAYS from 10am for Lunch & Dinner. From the outback to the 2019 Toowoomba Royal Show. Get excited to meet Blue the agile perentie, Cameron the cruisy sand monitor, Archer the snappy saltwater crocodile, Betty the bottler blue–tongue lizard, Ned the elegant black–headed python, and last but not least, Sasha the fierce inland taipan (only the most deadliest snake on the planet). Back by popular demand, Dreamtime Reptiles will lead you through a thrilling, yet informative display of the beautiful (but deadly) fauna that surrounds us. “We hope people will learn about and appreciate the critters that put this place on the map as one of the best wildlife destinations on Earth,” Garry Sippel from Dreamtime Reptiles said. Get up close and personal with some of the cutest babies with Farmyard Friends. Located at the Animal Nursery, you can start or finish the day bottle feeding the barnyard babies at 9.30am and 4.30pm. There will be chickens, ducklings and guinea pigs ready for lots of hugs and attention. Don’t forget to clean your hands after you’ve finished cuddling the animals with the new hand-washing station at the Animal Nursery exit. Miniature and standard goat breeds, sheep, pigs and farm birds will be on display throughout the three days of the show. There will also be sheep-shearing demonstrations each day, and furry friends to meet with Viv’s Roving Animals. Come visit and bring back memories while the young ones are introduced to the fun and joy of farm animals. “Hi, we’re Oliver and Pete from Proven Energy and our passion is working with our clients to make a positive difference to the environment”. It’s fun, it’s educational, it’s AGTASTIC! Simply visit the 6 AGTASTIC sites at the Show, marked on the map below, and answer the Q: & A: questions from the information on the story boards. Take at least one photo of yourself in front of an AGTASTIC board and upload it to #toowoombashow. Drop your entry form into the barrel at the Information Booth and you could win a $200 Savings Account from Heritage Bank. Q: How many are active in Queensland? 4 Australians consume millions of eggs every year. Q: What breeds are used for herding sheep? 5 AnCattle average dairy cow produces many litres of milk per day. Sheep Dogs 2 Sheep Dogs are used for herding sheep & cattle. and vegetables to Australian consumers. Nathan describes his music as “somewhere in between folk, pop and soul.” Using beatboxing and live–looping, his mix of covers and original music will leave you singing, dancing and wanting more from this British singer–songwriter. young age. Her EP Raw and Lightly Salted in Tasmania — Live at The Green Room will be launched at this year’s Campfire Sessions at the Show. Blue Jay Walker is a singer–songwriter from Canada. Since being raised on stories before bed and singing in the car, he’s had a passion to tell stories and sing songs — usually at the same time. Ayden paints caricatures of relationships, love and the world around him with delightfully quirky song writing. Inspired by all the shiny things that take his fancy, all the good music that graces his ears, and particularly the notion of contrast, you can expect his musical ups–and–downs to tickle your tendons and touch your heart. Alex and Tori Bryant are a married couple who originally come from England and Canada. The singer-songwriter duo’s style of music ranges from acoustic folk and ballads to toe–tappers. They found when playing music as a married couple, it leads to a relaxing environment and great stage chemistry. Brothers Tim & Wayne Collie established the business in 2000. They have built up their business employing local staff, supporting community events and using local businesses. There Head office is in Condamine Qld and now expanding with a new Industrial yard in Roma Qld. From Condamine to Surat to Roma to Wallumbilla, we can meet your earthmoving needs.